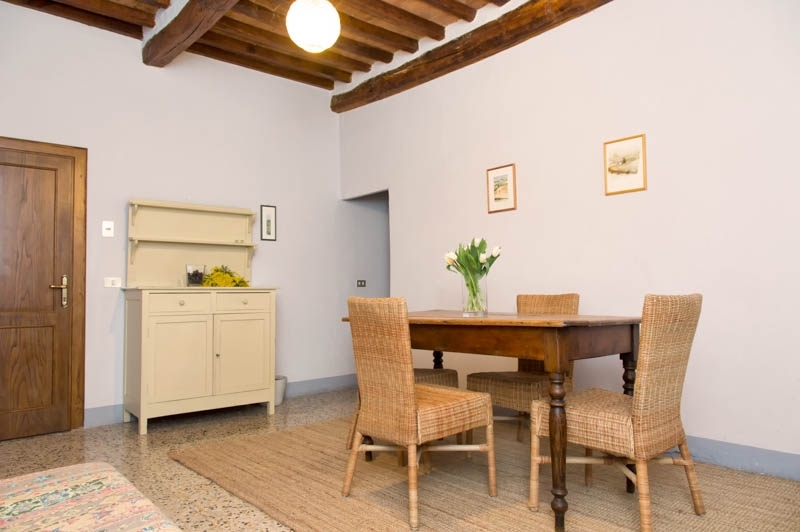 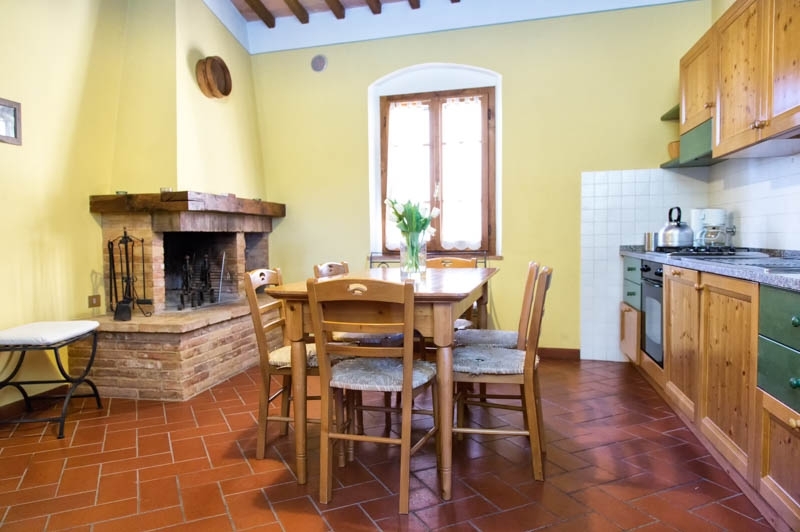 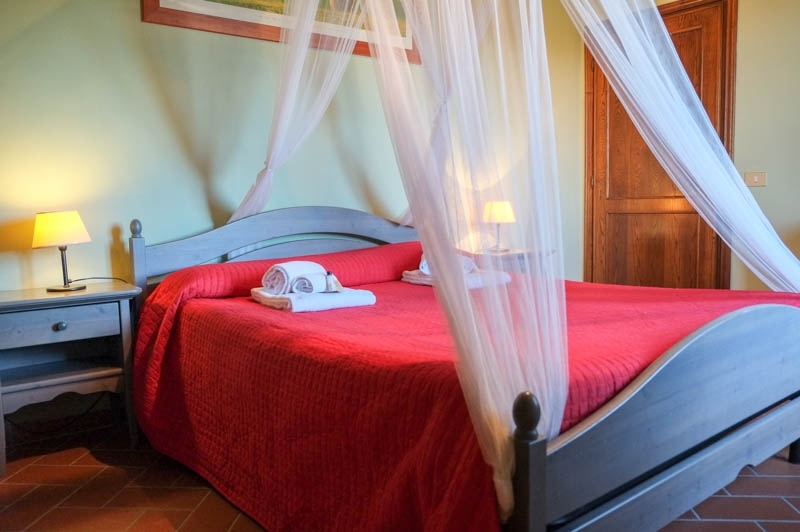 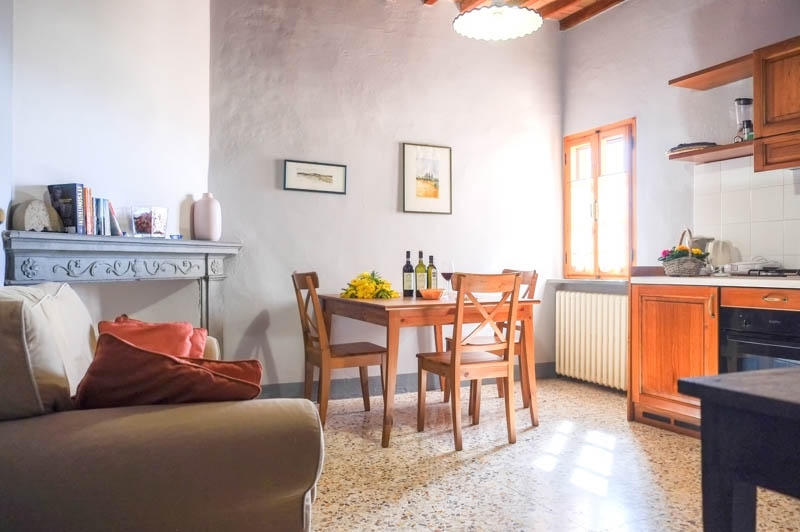 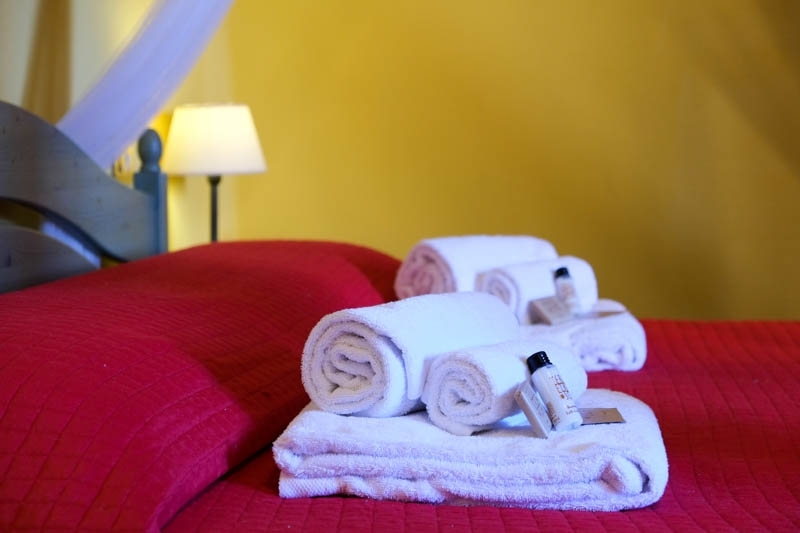 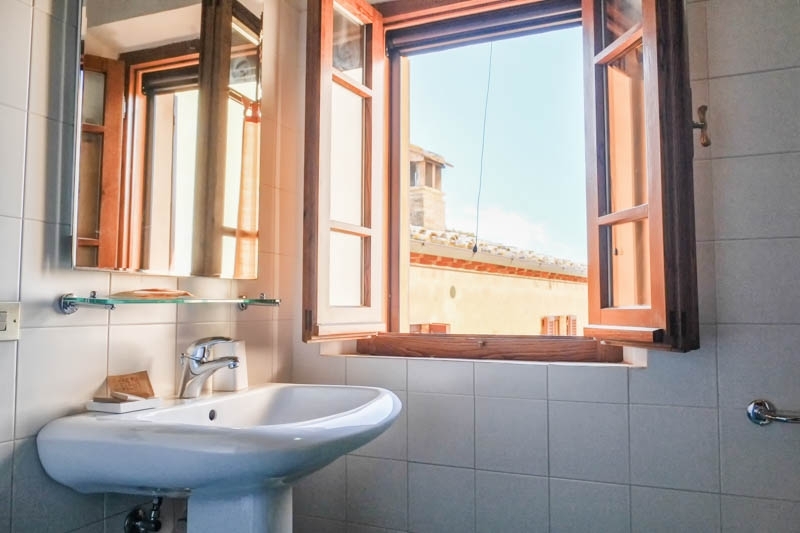 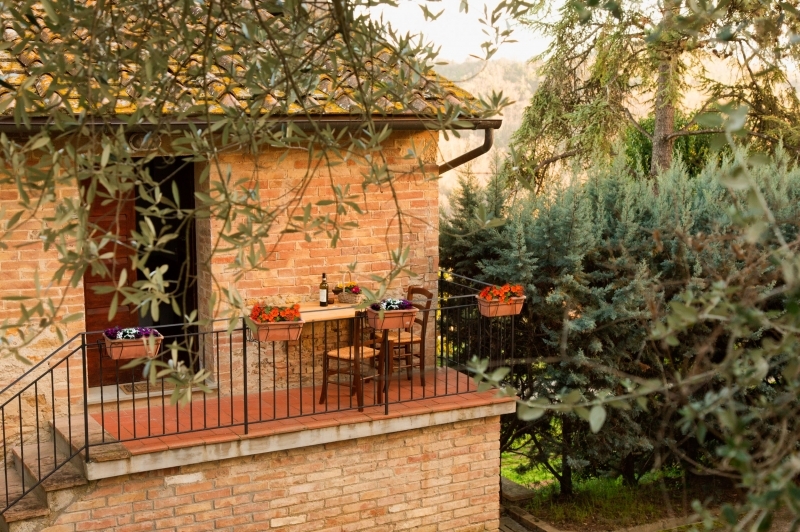 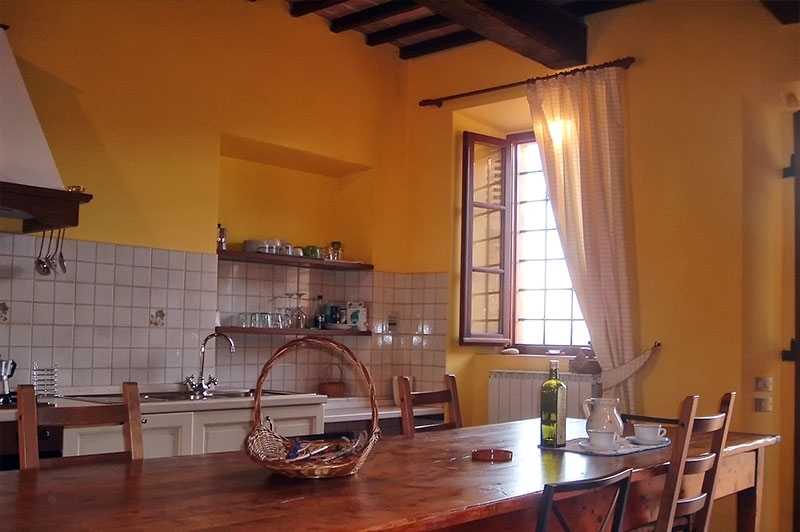 The apartment Querce is a typical Tuscan country house with the rooms on various levels. 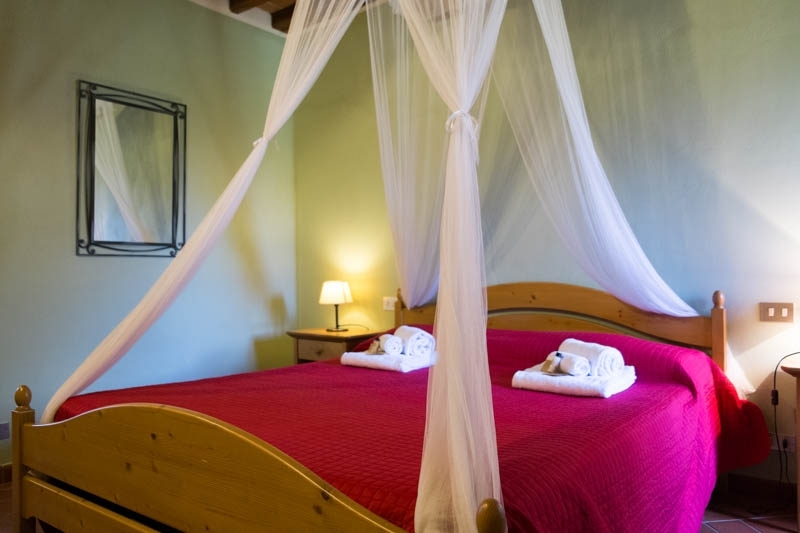 The first bedroom is on the ground floor near the entrance, lovely and cozy, with a double bed and a bathroom with shower. 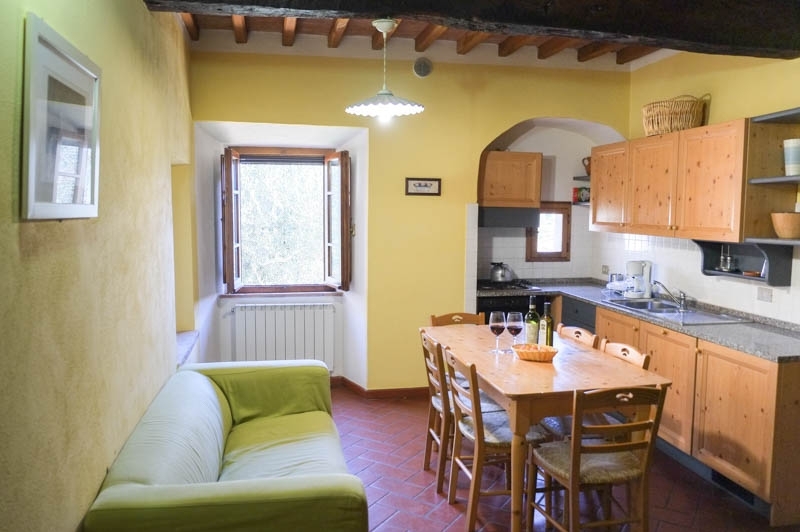 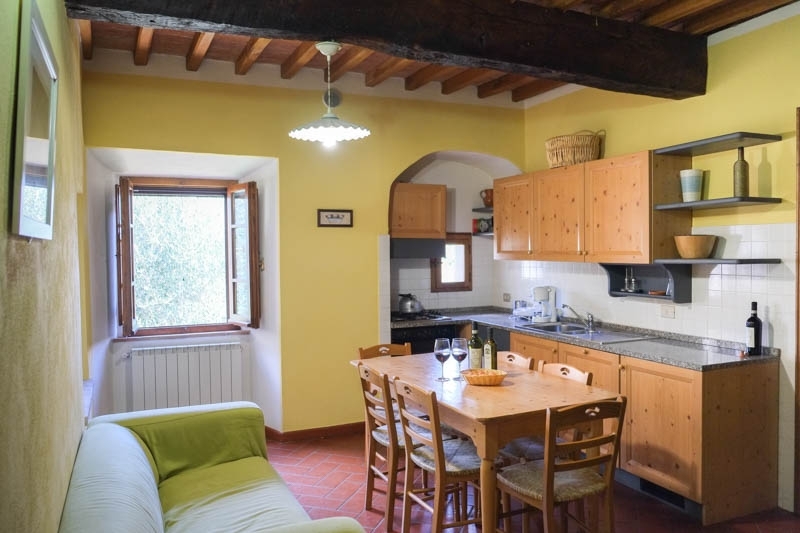 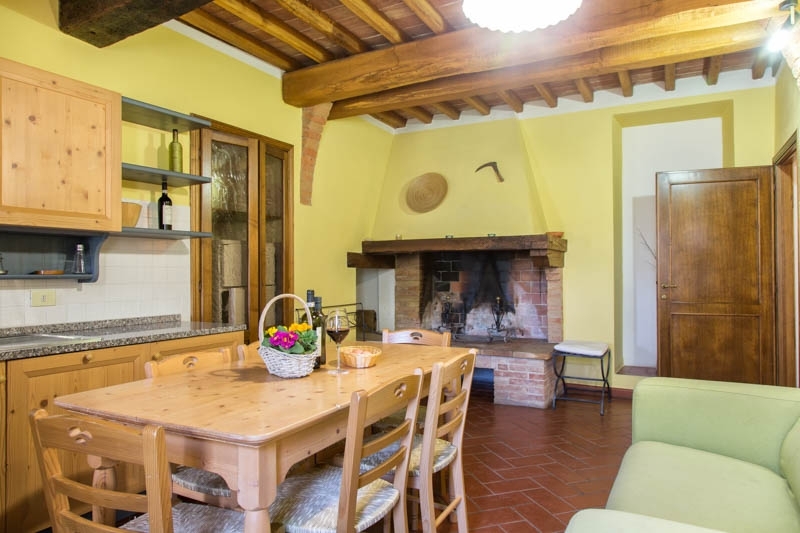 The large kitchen, on the first floor, comes with a big and lovely fireplace, according to tradition, as well as modern facilities such as oven and dishwasher. 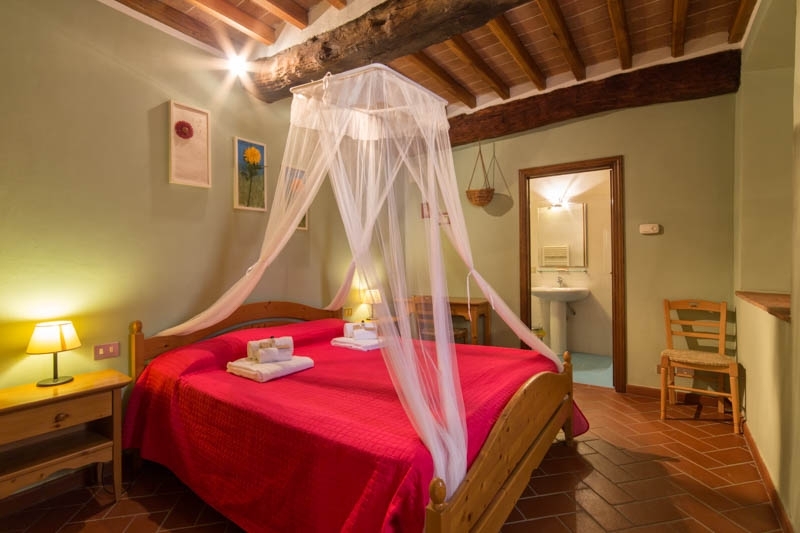 Still at the first floor there are two other double bedrooms and a bathroom with shower. 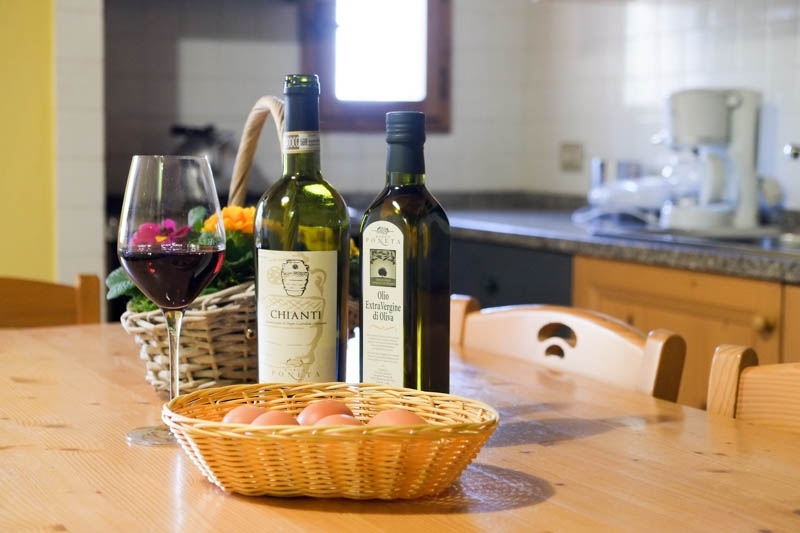 Services: well equipped kitchen, oven, dishwasher, independent heating, fireplace.